Activity feeds help you fuel growth, drive engagement and increase retention. Leverage Stream to launch this week and not next year. 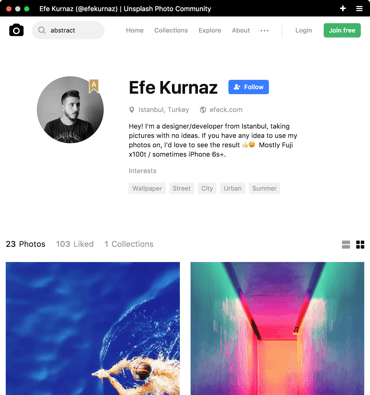 Common examples of apps with activity feeds are Twitter, Pinterest, Instagram etc. Activity feeds show content from the people or topics you follow. 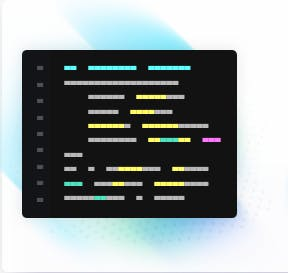 Stream is an API for building activity feeds that enables your development team to build personalized activity feeds this week, not next year. Stream powers the underlying feed technology, you have full creative freedom over the UI/UX. Activity feeds are the most powerful tool for personalizing the user experience within your app. Feeds improve content discovery and ensure users see the most relevant content when they visit your app. Activity Feeds help you monetize your business in more creative, diverse and sustainable ways. 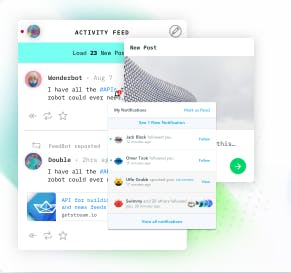 Activity Feeds are the most effective way to connect people to information and enable them to share it easily. 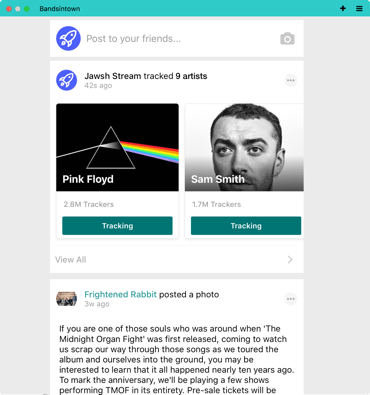 Adding activity feeds to your site is simple with Stream. Do you want to invest years of developer time into building your own in-house feed tech? Leverage Stream and launch this week. Stream’s API is easy to use and ridiculously fast. Share this free tutorial with your dev team to get their feedback. Ranking methods enable you to show popular content higher in the feed, highlight editorial content, pin activities to the top or increasing the rank of events that are about to start. You have full control over the ranking methodology. Did you know that while the feeds look very different, the underlying feed technology for apps like Instagram, Twitter, Spotify, Linkedin is almost identical? Stream enables you to focus on what makes your app unique instead of reinventing feed technology. Grow your app without worrying about the scalability of your feed infrastructure. Feeds typically load in less than 30ms. to power unlimited experiences around following and feeds. Basic feeds contain a simple list of chronologically sorted activities from the topics or people you follow. Ranking allows you to take control over how activities are sorted. Ranking activities can help improve engagement. Aggregation enables you to group activities together based on rules. This help keeps the feed relevant when there is a lot of activity. 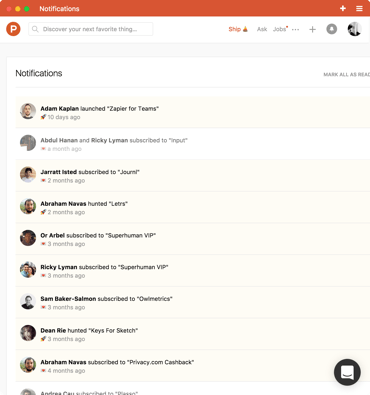 Notification feeds add the concept of “seen” or “read” to the activities. Commonly used with Aggregation. Leverage machine learning to further improve the relevancy of your feed. Top companies such as YouTube, Etsy, Linkedin and Instagram all leverage personalization. Listen to feed changes in real-time and increase conversations on your platform. Hashtags are a vital part of a network. They help connect ideas together even if users don’t follow eachother. Mention other users easily to have conversations across an entire app. Like an activity and send a notification to the owner. Stream integrates with your in-house technology for likes. Stream integrates with your in-house technology for commenting. Show content outside of the user's regular feed that they are most likely to engage with. A good example of a discovery feed is Instagram's explore section or Pinterest's feed. Send the most relevant activities in a user's feed via a digest email. Suggest users or topics to follow based on graph analysis. Reduce the clutter in the feed and show only the most relevant posts. Facebook and Linkedin are two companies that leverage this tech extensively. Power product or content suggestions based on a user's past engagements. Understand if the content in your news feeds is up to date and detect potential problems such as spam. Schedule a demo to learn how Stream can work for you.